Pet Insurance in Blaine Minnesota - The Jensen Agency- Insurance Brokers of MN. 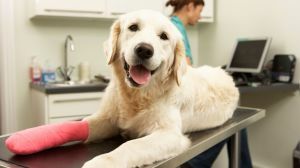 At The Jensen Agency- Insurance Brokers of MN., we can provide your pet insurance very affordably where you can visit any licensed vet, specialist or emergency room. So get a quote today to protect your pet and save money on your pet insurance and expenses.